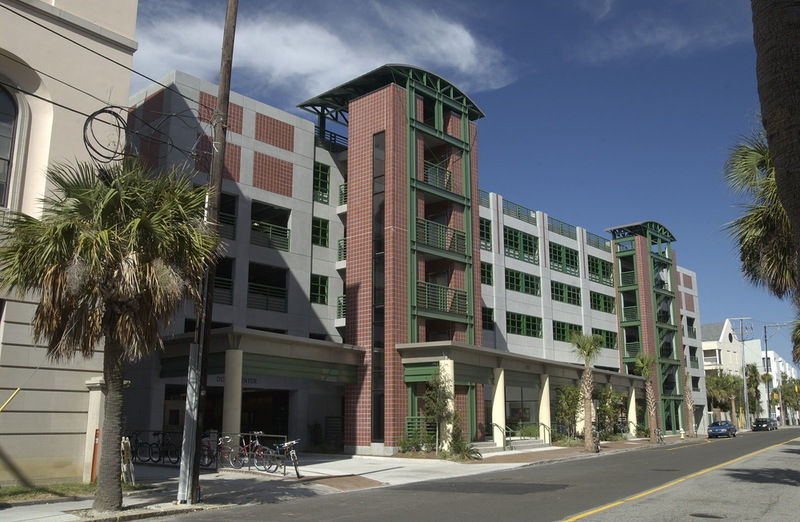 College of Charleston built this six-story dormitory and parking garage to house over 500 students and provide 600 parking spaces. 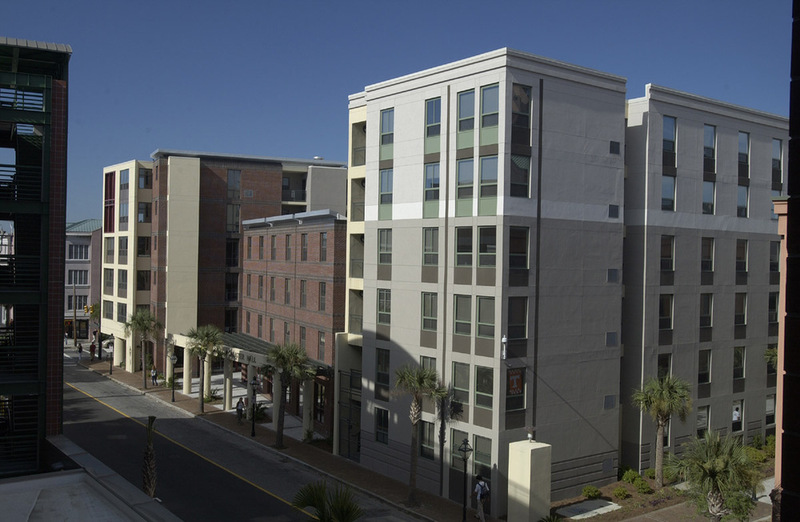 Building elements include hollow core concrete slabs, concrete beams and columns with load bearing CMU, and a foundation system with cast-in-place displacement auger piles & grade beams. 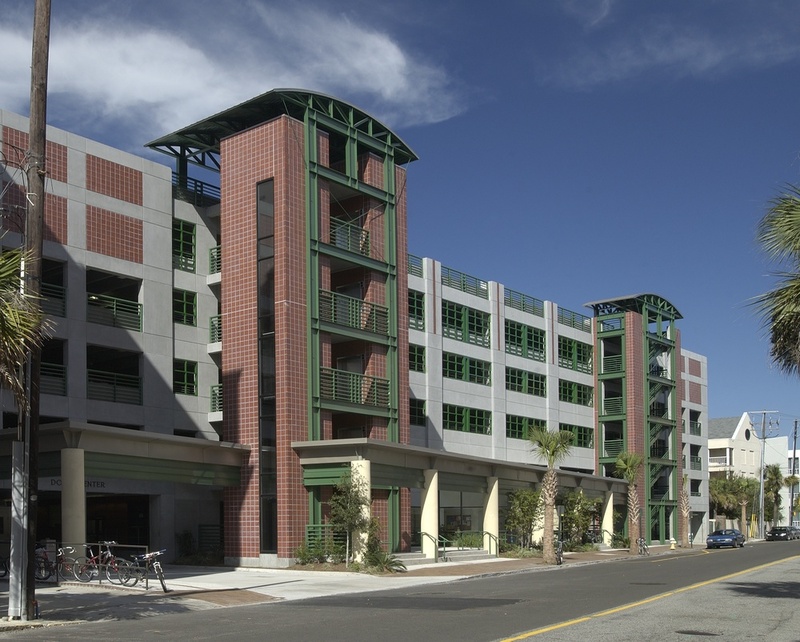 Site elements consist of the relocation and modification of existing utilities, a decorative interior courtyard (with seating, bike storage, ornamental paving, and landscaping) that also functioned as a loading zone, and a parking garage with good relationship to the streetscape.